A new study has confirmed that the massive natural forests in the Amazon removes more carbon dioxide from the atmosphere than it emits into it. These findings finally settle the age old debate of the overall carbon balance in the Amazon Basin. As trees grow and live within the area they siphon our carbon dioxide, however after the trees die and begin to decompose they release carbon dioxide into the air. So a factor in what has been a long standing debate was determining if there was more living or dead trees in the Amazon Basin. This revolutionary new study was led by NASA and the University of Leeds and was published in Nature Communications. 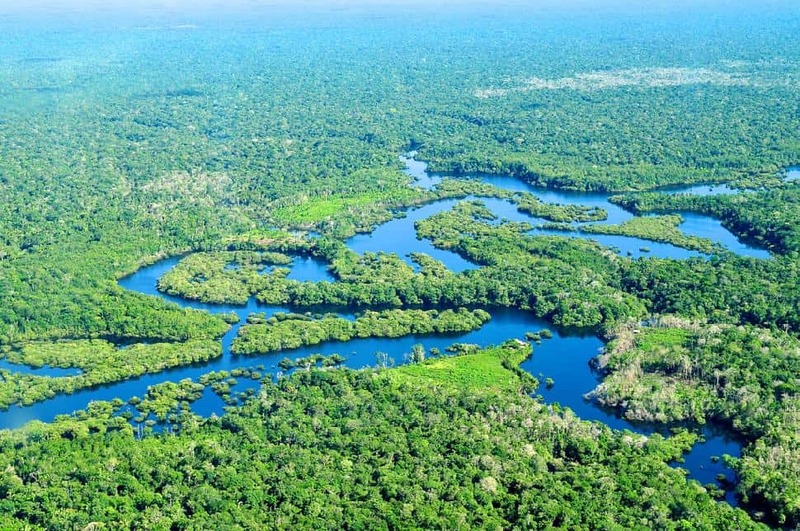 According to co-author of the study Professor Emanuel Gloor of the University of Leeds, "The study is the first to characterize forest disturbances across all spatial scales from a few square metres to hundreds of hectares across the entire Amazon." This is the first study to measure tree deaths caused by natural means throughout the Amazon forests, even in the very remote areas where no data has ever been collected on ground level. After this data was collected Emanuel Gloor and Fernando Espirito-Santo of NASA's Jet Propulsion Laboratory created new techniques to analyze satellite, LIDAR and 20-year set measurements collected by hundreds of scientists in the RAINFOR network. Researchers used censuses of forest growth and modeling scenarios that accounted for various uncertainties in the censuses. In every scenario, the living trees outweighed the carbon dioxide emissions from dead trees, indicating that the Amazon rainforest is absorbing.